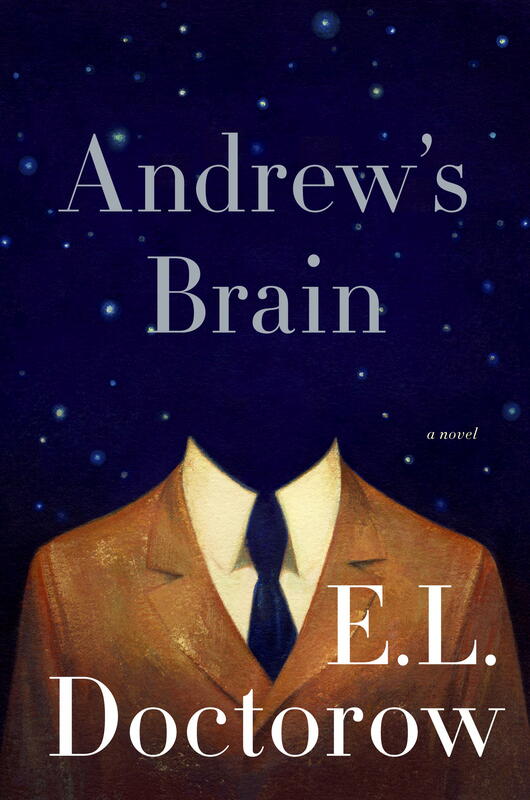 I am back on WKAR’s Current State with a new book review, this time looking at the new novel by E.L. Doctorow, Andrew’s Brain. Andrew’s Brain can be found on Amazon here. If you would be interested in hearing/reading more of my NPR book reviews, you can do so via links on this page. When your mind often swims in the written words of others sometimes the water can get a bit muddy. You don’t mean for this to happen, but plots might intermingle in your head, characters might meet up even though they are in different stories and sometimes, honestly, you might point the finger at a possible murderer, not realizing right away that they are from another book and, of course, perfectly innocent. That is sometimes how my brain works. What gets my brain out of these reading doldrums is something new, something exciting. I love it when a writer challenges himself and me as a reader. And one recent example of this, which I highly recommend to my fellow literary swimmers, is Andrew’s Brain by E.L. Doctorow. There are so many different ways you can read this fascinating novel. One way is a very literal interpretation. This book is the transcribed sessions between Andrew and his psychotherapist. Andrew’s life is filled with misfortune and dark humor. The story begins with him abandoning his child after the heartbreaking loss of his wife. How she died and why he did this become clear as the story unfolds. Andrew’s story is the story of our country over the first decade of this century, with the tragedy of 9/11 and even a surprising and playful appearance by President George Bush. Another way you can interpret the book is that none of this is true. Not a single word. These conversations are not in our reality but are taking place in Andrew’s mind and he is a mental patient playing with possibilities, influenced by the world and its events. There is not any clear indication that his doctor is even in the room with Andrew. Making the book a collection of rants from a very interesting mad man. The third way to break down Doctorow’s work is my favorite. It is an examination of the creative process and you are experiencing firsthand the working mind of the novelist, continuously getting inspired by events in the real world, playing with ideas, and then discarding them for others. This interpretation of the novel would explain the almost stream of consciousness vibe to the storytelling and the nitpicking that his doctor sometimes does around Andrew’s stories, sounding more like a well-schooled editor than a therapist. Andrew’s Brain will challenge you as a reader; it will make you question your perspective on a story and on a character. It might even make you wonder about the understood truth of your own past and what you choose to believe. I finished this book quite a while ago and my own mind is still haunted by it, still debating its meanings. Yes, this is another kind of muddy literary water to drown in, but a good kind. One that shows again the great potential for literature and how impactful it can be as an artform. Andrew’s Brain is a lake worth jumping into. There is something for all brains to swim in. 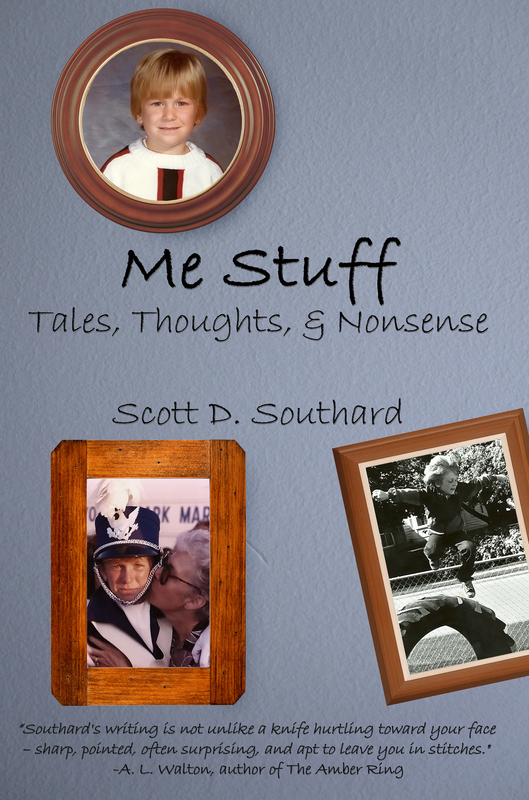 This entry was posted in Book Reviews and tagged 9/11, Andrew's Brain, Book Review, Current State, E.L. Doctorow, eBook, Fiction, George Bush, Literature, Novel, Random House, reading, WKAR by Scott D. Southard. Bookmark the permalink. 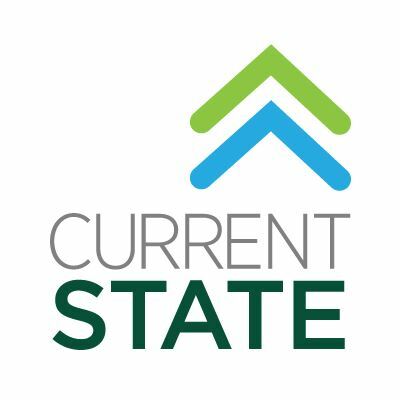 I had the pleasure of reviewing E.L. Doctorow’s last novel, Andrew’s Brain, on WKAR’s Current State. Strangely, reviewers and stories aren’t mentioning it in their remembrances of the great author. It is a pity. It was a good book and very creative. A wonderful writer, right up to the end (and a lot of authors can’t say that).